If you love Android then we have some surprising news for you, Google is hard at developing a brand-new operating system that will be different from its Android and Chrome OS. The new Google OS is called “Fuchsia”, and the fit is intended to be for smartphones and tablets. According to Ars Technica, which posted a video and images of the upcoming operating system, the interface is reportedly called “Armadillo”. It was actually first spotted by Kyle Bradshaw at Hotfix.net. Unlike Android OS or Chrome OS, both of which are based on Linux, Fuchsia is based on “Magenta,” a new kernel created by Google. Meanwhile, Armadillo is built using Google’s Flutter SDK, which is used to create cross-platform code capable of running on multiple operating systems. That also means that Armadillo can run on an Android device. So the biggest question comes here is will Fuchsia OS will replace Android? Below we try to find the answer to these question. 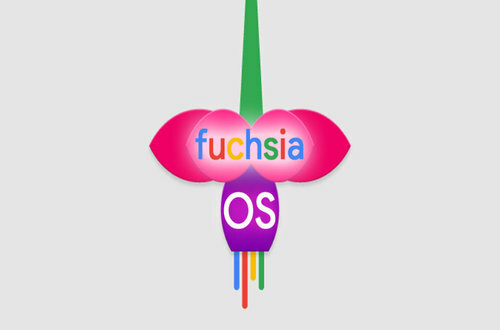 Fuchsia OS: Will It Replace Android One Day? Fuchsia, which means a vivid purplish color, and is also a shrub found in New Zealand, is a real-time operating system; which can serve applications that process real-time data – it will instantly process the data, without any buffering. As per initial reports, Fuchsia OS can be used across various devices – right from PCs/laptops to tablets and smartphones, appliances and embedded devices. The Minimal amount of RAM would be enough for Fuchsia to run, which strongly indicates over usage in appliances and embedded devices, rather than smartphones and laptops. Thus, Internet of Things is the focus of Google here, with Fuchsia, and analysts are claiming that one day, it will replace both Android and Chrome OS. Google is envisioning a scenario, wherein right from automobiles to your fridge; smart TV to your laptop and water cooler to your AC, everything would be running on Fuchsia.